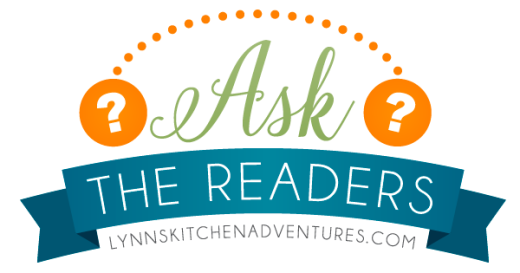 It is been a long time since I did an Ask the Readers question, but I need help finding a new waffle maker and knew you might be able to help me decide. I love making special breakfasts during the holidays. This year for Christmas morning we decided to have homemade waffles with fruit topping and whipped cream. It is one of my kids favorite breakfasts, so it was perfect for Christmas morning. My waffle iron had different ideas though and decided to stop working in the middle of making Christmas breakfast. At first it started cooking really hot and several waffles got too done. Then it just quite working altogether. Thankfully we got enough waffles cooked for everyone to have one before it broke, but it still wasn’t quite the Christmas breakfast we had hoped for. It did however create some great Christmas morning memories. So there is that. We will probably always remember the time the waffle iron broke on Christmas. A lot of people can live without a waffle maker because they don’t eat a lot of waffles. My family isn’t one of them. We eat a lot of waffles. Yes, we could live without one, but we don’t want to. We make gluten free waffles several times a month for breakfast or breakfast for dinner. I also love to keep them in the freezer for my kids to reheat for breakfast. The waffle maker that broke was a Waring Pro double Belgian waffle maker and I loved it. However, they have discontinued it, so I can’t replace it with the same thing. I need to find something else. One of the things that I loved about the one that I had was that it cooked two waffles at once. We also love the Belgian style waffle, but the waffle maker does take up a lot of room. So I can’t decide what I want to get, which is why I need your help. Do you have a waffle maker that you love? Should I get another Belgian waffle maker or just a regular one? I would love to hear your thoughts on what you love or don’t love about your waffle maker. I can’t wait to hear your thoughts! That’s the exact one we have! It does indeed take up a lot of space but we really like it. It was given to us second hand from a downsizing parent and we made waffles constantly when we first got it. We overdid it and don’t make them very often now. That is, until I saw your link this morning! My husband has gone off gluten and he loves pancakes and waffles. I am going to make some! I can’t wait to hear what everyone says. Mine might break sometime too. I’ve never had a fancy waffle maker. I’ve had a Hamilton Beach that makes 4 square waffles at once for many years. (Similar to their model #26020) I don’t know how it would stand up to heavy usage, though. We also have a mini waffle stick maker that was passed down from a family friend. Since we became empty nesters, that’s the one I use most. I will be interested to see what sort of feedback you get. I have both a Belgian and a regular. My new one is a Cuisinart Classic Waffle Maker. I just got this one for Christmas, but since we make waffles twice a week I can recommend it. My old Cuisinart had a beep when the iron was hot and when the waffle was done. This one only has lights. It is much faster than my old one was which really helps when making lots of waffles. My Belgian is by Toastmaster. It’s quite old, but it still consistently makes great Belgian waffles. I like having them both going to push out more waffles more quickly. I also have different family members who prefer the classic or Belgian at different times. This way I can please them all. My waffle maker is the same one that we used when I was a child, so I’m sure they don’t make it anymore! That said, I’d look at Goodwill or a thrift store. Lots of people decide that they don’t really like to make waffles and the iron takes up too much space. I see them there all the time. I like the old ones best! I love my Cuisinart WAF-300 Belgium waffle maker. Nice features. Audible beep when ready to use & when done. Can make sandwiches & etc. I agree with Pam, check out a thrift store. That’s how I found my current one, a Cuisinart Belgian that makes four square waffles. My family just made a batch of your overnight waffles for breakfast. What Pam says. Scour thrift stores. I bought an old even then waffle iron in pristine condition at a thrift store 30 years ago. Works perfectly. Heavy, but makes 4 waffles at a time. My husband and kids got me a new waffle maker for Christmas. We are a family of 5 and needed one that made atleast 2 at a time, but my husband surprised me with a cuisinart that makes 4 at a time. I absolutley love it and it was under $50 on Amazon. Just go to an auction sale or a yard sale or a second-hand store and find an older one (make sure the cord is in good condition) and buy it. Those older waffle makers were built to last. My Mom had hers for over 50 years and I’ve had mine now for well over 30 years. I don’t remember what Mom’s was but mine is an old General Electric. Can’t beat old stuff if it’s been well cared for. And that’s my 2 cents! Mine is similar to this https://www.amazon.com/Black-Decker-G48TD-Grill-Waffle/dp/B000063XH7/ref=sr_1_2?s=kitchen&ie=UTF8&qid=1317737996&sr=1-2. I got mine at a garage sale many many years ago. I like it because I can make a lot of pancakes at once and use it like a panini press but without the grill marks. It is not a Belguim one though. I use mine weekly for pancakes or waffles. 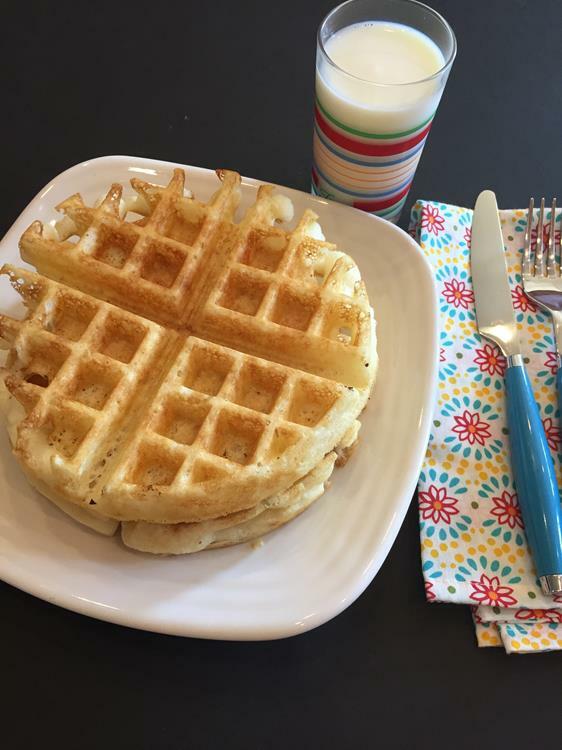 We have a Waring Pro Double Belgian waffle maker and LOVE it. Perfect waffles every time and it makes 2 huge waffles at once. We’ve made all the yummy gluten free ones, cornbread waffles, brownies, and even sandwiches in it lol. I don’t think Waring is around any more, but this Cuisinart one looks just like my waring one. The Waring waffle maker is now made by cuisinart….its great. Thanks. I thought that they looked similar, but didn’t know it was the same basic one. It was ranted Best by America’s test kitchen… and they pointed out that the waring model was now the cusiinart model. Someone else mentioned that and I had no idea it was the same. That makes sense because they look like basically the same thing. Thanks for sharing that. I know I’m late, but I just have a very basic Black and Decker waffle maker. This is my second one. The first one we had since before we went gluten free so it lasted six or seven years at least. I use it 2-3 times per month to make waffles to freeze and then toast for breakfast. The hinge eventually broke on the first one, but I kept using it until I got a new one. This one is inexpensive but sturdy. It has a light to tell you when it’s hot and that’s it. I set a timer for six minutes and they’re done. I make your recipe here that uses oil and another recipe that uses solid shortening (depends whether I have that mix already made up) and both come out fine. Yours are crispier; the other chewier. The kid will say she prefers one or the other but it changes so I don’t think she knows the difference. Once we toast them, they are both crispy anyway. It doesn’t flip so one side does come out browner than the other but it’s not a big deal.